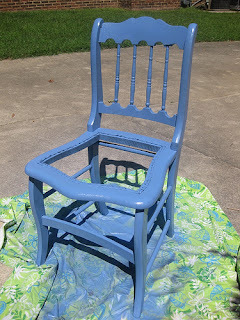 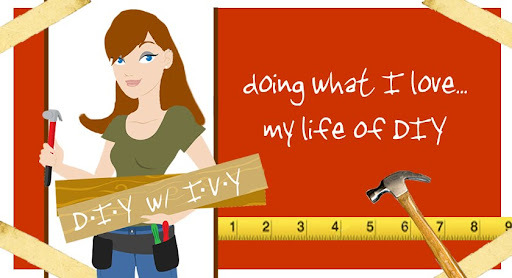 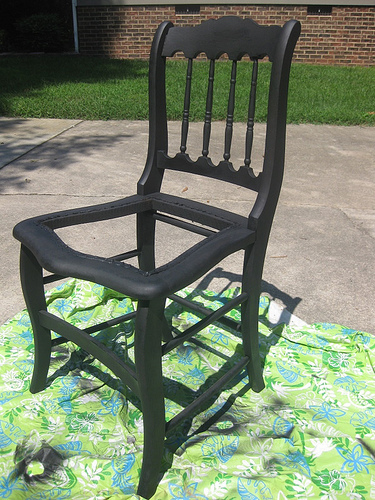 Here was another Repurposed project I found from other blogs online. 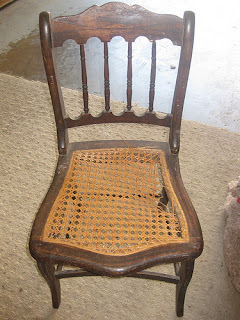 I got this chair for $5 at my favorite consignment shop...The Gingham Daisy. I cut the seat out and primed it, then spray painted it a shade of blue-ish/purple. 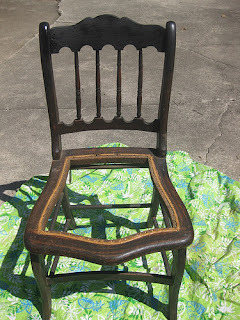 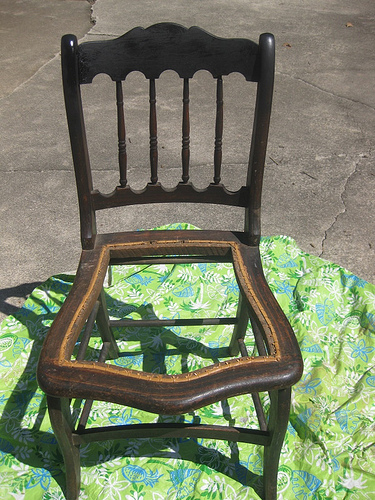 Then went back over it lightly with some sand paper to give it a worn look then sprayed some clear coat over the entire chair. 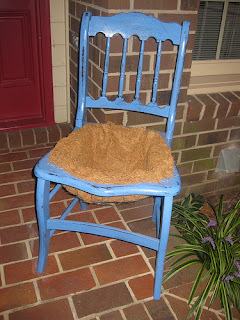 I added a coconut liner to the seat, added my plant and put it right by the front door! 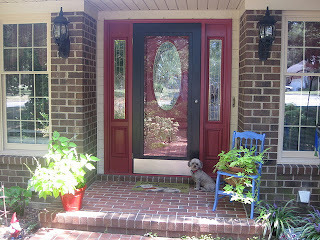 That's my sweet Maggie by the front door.